Reader Michael alerted me to this diagram from Futility Closet. He added that it took him fully ten minutes to find the man fishing with the rod and line? Can you spot him? Answer at 1 pm Chicago time. I’d call this medium hard. This entry was written by whyevolutionistrue and posted on February 20, 2019 at 10:00 am and filed under spot the nightjar (and other beasts), spot the ________. Bookmark the permalink. Follow any comments here with the RSS feed for this post. Post a comment or leave a trackback: Trackback URL. Yeah it took me a while to find him, but he is there! It took me a while to find him, but there is a fisherman hiding in there. It took me 3 seconds! I’m good! Me too. Spotted it as soon as I enlarged the image. But I’ll add that was probably my favorite “spot the” post. I’d call this one easy since I saw the little fellow right away. Sometimes they just jump out at you. Just northeast of flowmeter in ten seconds. But expanded the figure to full screen. Really cute. I love the idea! As well as the fisherman? Where’s that?! Prof. You need to grab a PhD candidate slave from your dept. & work up a diagrammed Drosophila paper with hidden kitty line drawing. Spotted within 10 seconds…but then, I’m a fisherman😃! Found it very quickly. There was only one place that had enough fluid to drop a line into and then the image of the fish could not be missed and the fisherman was at the other end of the line. Probably as much luck as anything but I found it in about 2 seconds. Funny story. I spotted it right away. He’s sitting on the left top side of the Flowmeter. Got it. A good joke! It took me two hours of uninterrupted concentration. 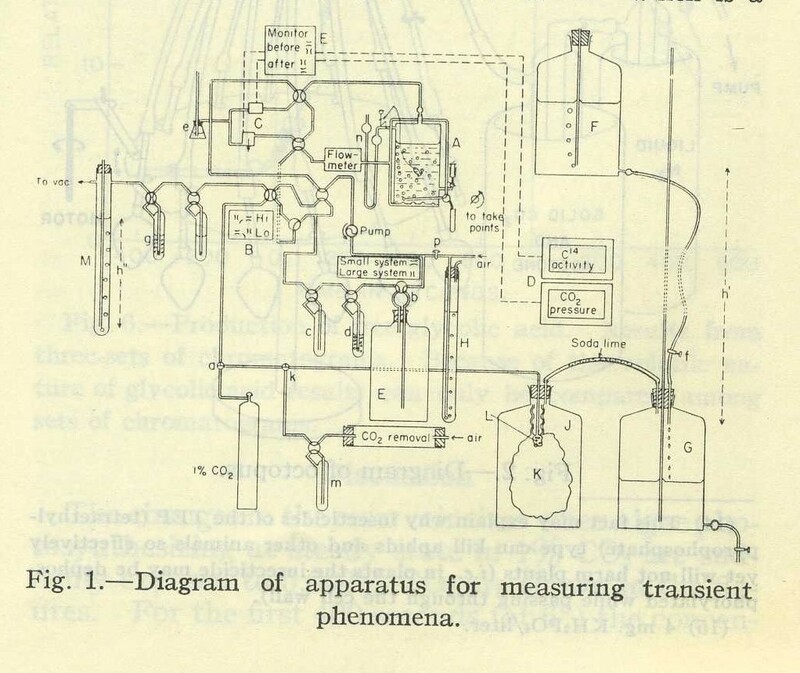 Finally I just constructed the apparatus itself from the diagram, took a close look at what I had and there he was. Now back to work. I looked for water to make it easier. I lucked out and found fisherman in less than 10 seconds and now can’t see anything else–a Curse. I was initially looking for him in the shapes of the apparatus, rather than simply sitting there!